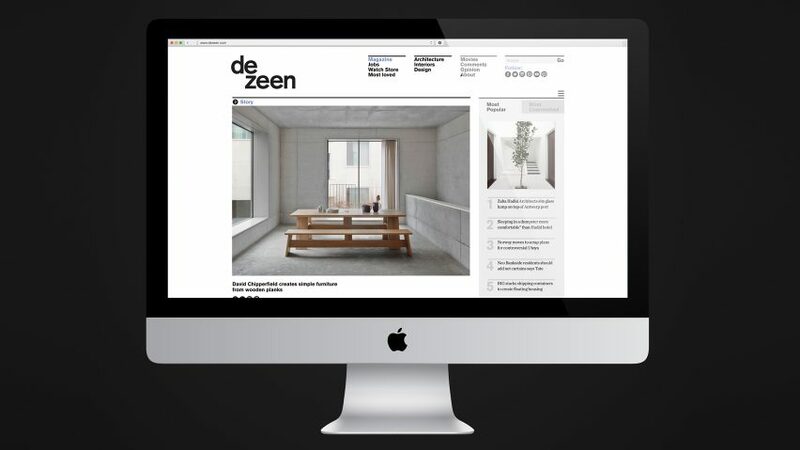 Dezeen is now the most popular online design magazine in the world, according to statistics from web data firm Alexa. The latest Alexa rankings place Dezeen among the 7,500 most popular websites on the planet, ahead of all other contemporary design websites. Dezeen is ranked at 7,084, having climbed several thousand places over the last year, while rivals have declined. That puts us ahead of Designboom at 8,864, FastCoDesign at 9,042 and Wallpaper at 26,321. DesignTaxi is ranked at 15,960 and Contemporist at 38,589. Dezeen is also the second most popular architecture magazine, coming behind ArchDaily, which has a global ranking of 3,360. Curbed is at 7,437 while Architizer is placed at 19,954. Alexa, a commercial service that gives insights into the popularity of every website in the world, is regarded as one of the most authoritative benchmarks of web traffic. Last month Dezeen became the only architecture and design website to be ranked in the Comment1000 list of the world's most commented websites. We celebrated our 10th birthday last month, prompting tributes from architects and designers from all around the world. MVRDV founders Winy Maas, Jacob van Rijs and Nathalie de Vries described Dezeen as a revolution in architecture media, while Nendo's Oki Sato called the website his "childhood friend".